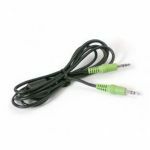 Plenum rated Audio Cables by Impact Acoustics™ are designed to meet stringent building codes for placement of low voltage wiring within a commercial building. The air space above a suspended ceiling or plenum is a common location for runs of low voltage cables. Placement of low voltage cables within the plenum require the installer to use materials that limit the release of smoke and fumes in the unfortunate event of a fire. 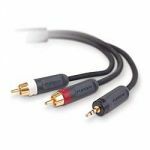 These plenum-rated audio cables are constructed from two precision-machined 75Ohm coaxial cables. 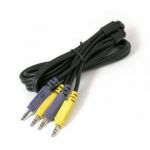 They use our precision-machined RCA connectors featuring our SplitLok™ center pins for a solid and reliable connection. 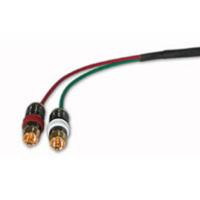 CMP-rated PVC jacket and Teflon™ inner insulators provide the fire protection required to run these cables within walls and air plenums without the need for conduit. 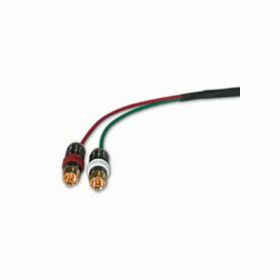 The coaxial cables feature 26AWG tinned copper center conductor covered by aluminum polyester tape and 92% tinned copper braid for 100% shield coverage.